With a folk metal line-up from start to finish, it seemed a Friday night trip down to NYC would be needed. The Dread Crew of Oddwood teaming up with Massachusetts’ Wilderun along with two local acts (Spectral Voices, Imperial Crypt). As an added bonus, there were vendors selling Norse leather and jewelry and some acoustic pirate songs between sets to give the evening some additional flair. 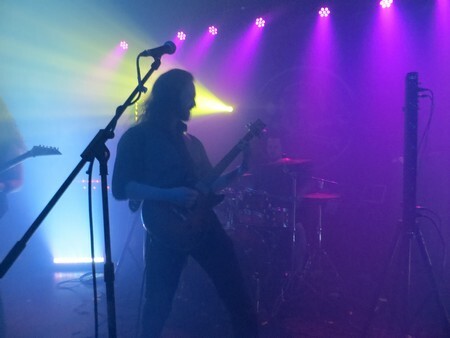 First to the stage was Brooklyn-based progressive/melodic death metal act Spectral Voices. 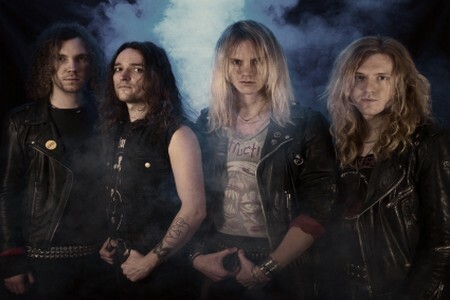 An interesting group that combined some of the usual black/death usuals but also seemed to capture a more traditional influences and some catchy rock riffs to make them stand out. Plenty of stage presence across the board, and with songs that kept things in a good balance of fun/deadly riffs, they warmed the crowd up nicely for the evening to come. A band worth further investigation if you are from the area. Due to an interview with The Dread Crew, most of Imperial Crypt’s set was missed, but the two songs that I was able to catch seemed to solidify the positive impressions that were generated by checking out their album, Fate of the All-Father, on Bandcamp. Killer melodic death metal that takes its fair share of black and Viking influences. Not having caught Wilderun since last summer, it was a welcome treat to see them hit the stage. Only getting to plow through a few tracks (due to most songs being rather lengthy), they continue to show that they are growing more of a presence in the live scene. Impressively heavy when you catch them live, “The Garden of Fire” continues to be a real highlight of the band’s set, with its shift between heavy and soft passages, culminating in a soaring finale. Equally enjoyable was getting to hear “Suncatcher” to close out their set. The critically hailed Sleep at the Edge of the Earth brought them some increased attention, and getting it out and about on the road is only going to heighten their buzz. 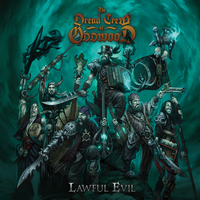 Certainly a sight to behold, witnessing The Dread Crew of Oddwood in the live setting is a fun-filled treat. A jovial set that went for a good hour, this is a band that has good time with what they do. But how could you not, as you are playing acoustic heavy metal (“Heavy Mahogany” by the band’s standards) in a pirate outfit and singing about everything from beer to sailing to poo. Easily whipping the crowd into a folk-filled frenzy, it was cool to see that without distortion and downtuning, The Dread Crew was able to get people moshing harder (as well as some dancing too) than some plugged in metal acts. At one point towards the end of the set, several crowd members began to do the longboat Viking row on the floor. The Dread Crew’s energy was quite infectious, from the music to the onstage bantering – easily entertained those around with cuts like “Heavy Mahogany,” “Side Quest,” “Trollwhack,” and plenty more…including the closing partial cover of “Careless Whisper,” which seemed to perfectly capture the mood. Having two young boys means that they can’t exactly accompany you when you hit the NYC bar scene. So with children in tow, we were off to the Renaissance Faire to catch The Dread Crew of Oddwood once more. The band plays multiple sets when playing Faires across the country, and being able to catch the band in both the venue and Faire scene was quite interesting. First off, before the band’s first 11:30 set, it started pouring rain. The band’s stage was out in the open, which poised a problem. But the band decided to squeeze themselves into the tiny Blue Boar Inn’s bar and played a short set whilst being packed in like sardines (along with the bartenders, who found a way to serve patrons in the midst of all of this). Drummer T-Bone resorted to playing drums off of the bar itself, with 3 different bottles of wine (?) rounding out his drumkit. But the band made it work, firing off about a 20-minute set (after getting all things set up and squeezed in) to the few able to stand under the bar and those willing to get a little bit wet. Thankfully the sun managed to break through after that initial downpour, which meant the other two sets this scribe (and family) took in were under less tight quarters. In playing to an all-ages and kid-friendly crowd, the band does have to censor some of their lyrics and antics but it certainly doesn’t change the flavor of their energy (some amusing banter followed “Side Quest” about how “stuff” didn’t rhyme with “get”). It’s a less rowdy crowd there, but on the other hand, the band is more free to move about the audience and play from wherever they so choose. They also had very little repeats within the set list considering they were playing at three different times – all the reason to come back and sit down once more. 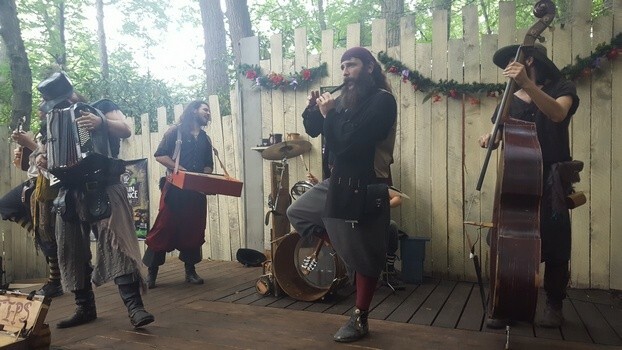 Whether it’s the venue or a Renaissance Faire, it’s worth catching The Dread Crew of Oddwood in any form that you can. A unique and interesting voice within the metal room, with plenty of room to expand beyond those confines. Fun for all ages, one might say.